Tesco, Morrisons and Sainsbury’s have all cut the cost of diesel at their forecourts by two pence-per-litre. However the RAC claims retailers have the capacity to pass even greater savings on to motorists. The reductions bring the cost of diesel closer to that of petrol – the average cost for a litre of petrol in June was 117 pence-per-litre, versus 120 pence-per-litre for diesel over the month. But according to the RAC the wholesale cost of diesel is currently lower than that for petrol so, realistically, retailers could pass a larger, five pence-per-litre saving on to consumers. 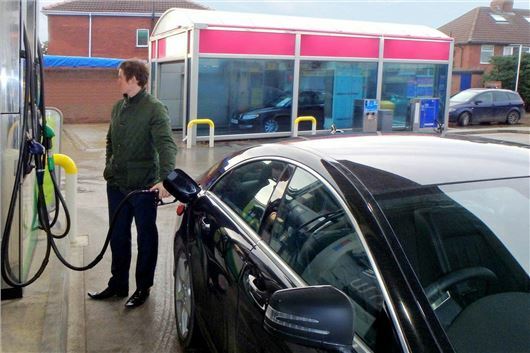 “While retailers are obviously free to choose how much they charge for petrol and diesel, we believe that motorists deserve to be treated fairly and that means forecourt prices that reflect the wholesale market.” Said Simon Williams, RAC Spokesperson. “…there seems to be a clear intention to make more money from a higher diesel price while at the same time being seen to maintain a lower petrol price.” He added. The price cuts come after the government’s Budget announcement, which included a continued freeze on fuel duty.